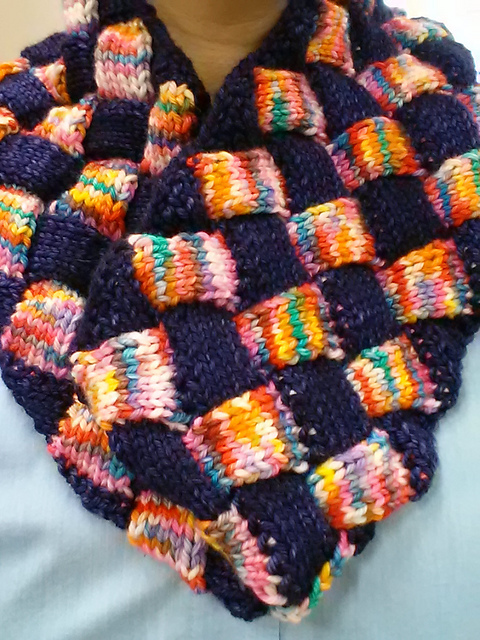 This cowl is my variation of Entrelac Made Easy. 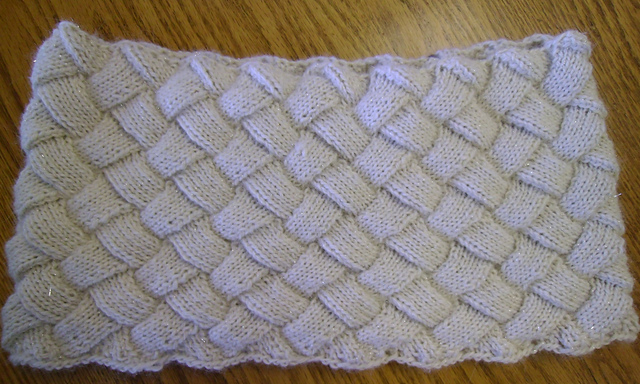 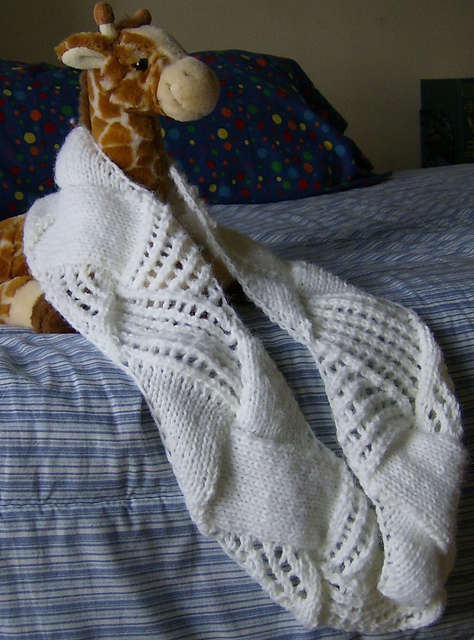 It uses a picot cast on and rolled edge bind off. 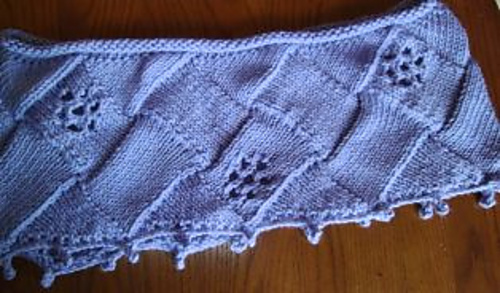 A daisy lace design is placed in every 3rd rectangle. 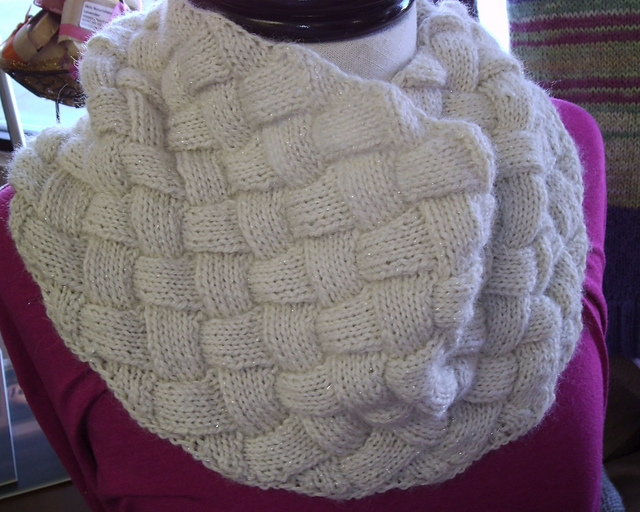 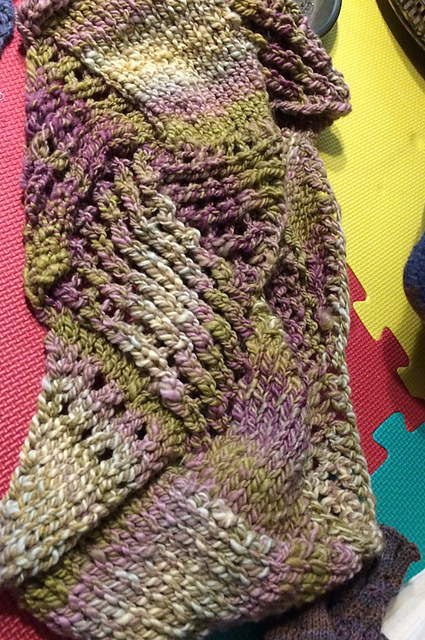 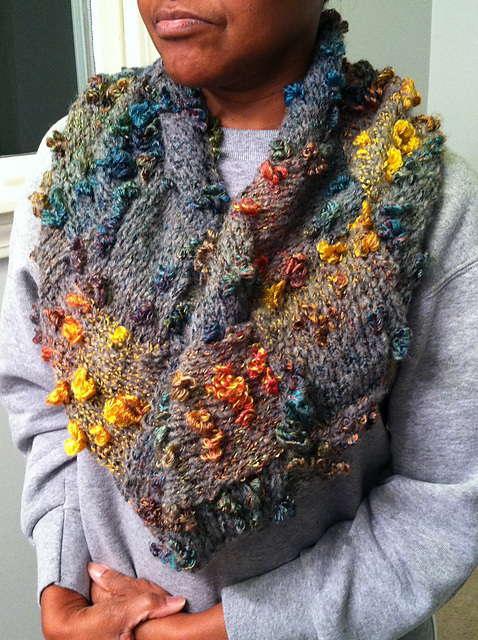 I used EXACTLY one skein of cascade 220 to make this cowl. 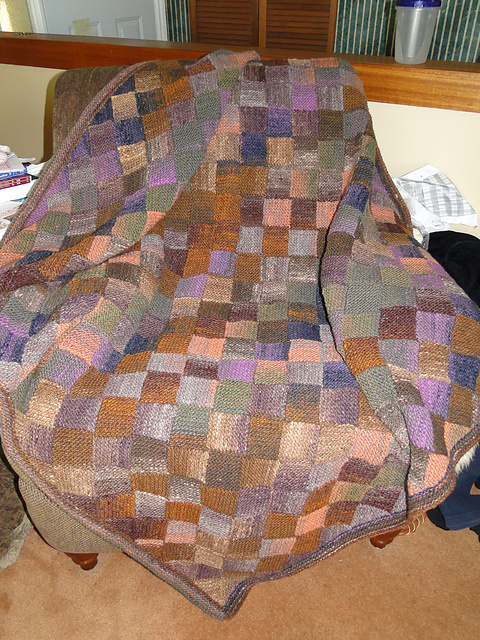 Top triangles are not bound off. 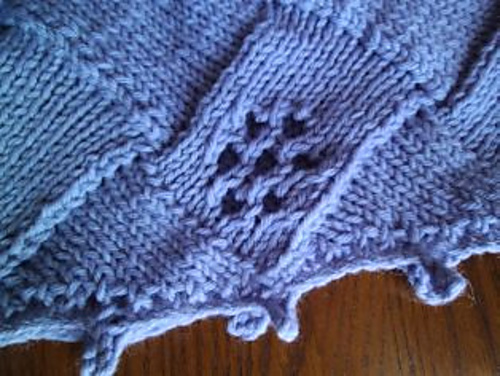 Instead, short row shaping (without wrap-I liked the looks of slight “holes” between stitches) is used to complete each triangle then stockinette stitch is worked over those stitches to create a rolled edge. 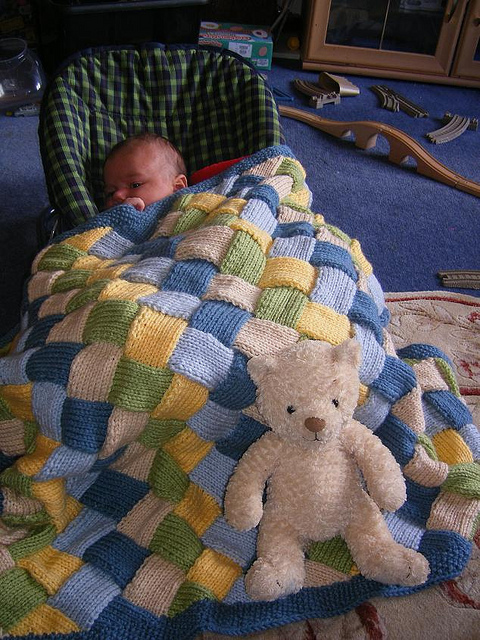 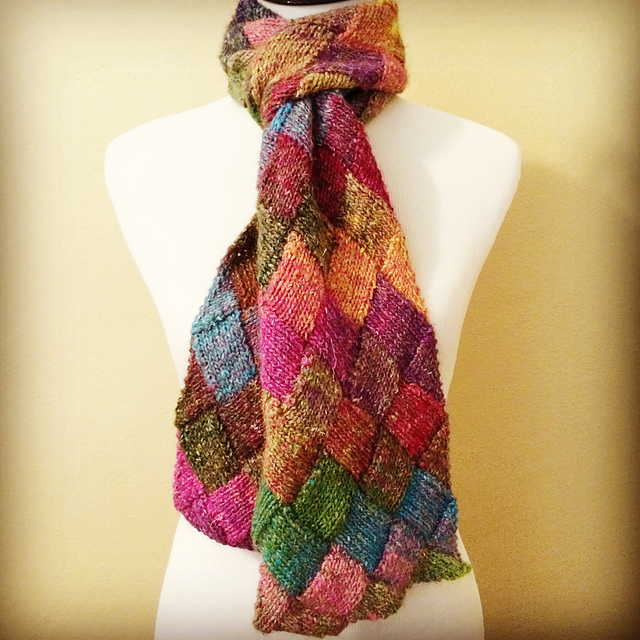 Are you new to entrelac? 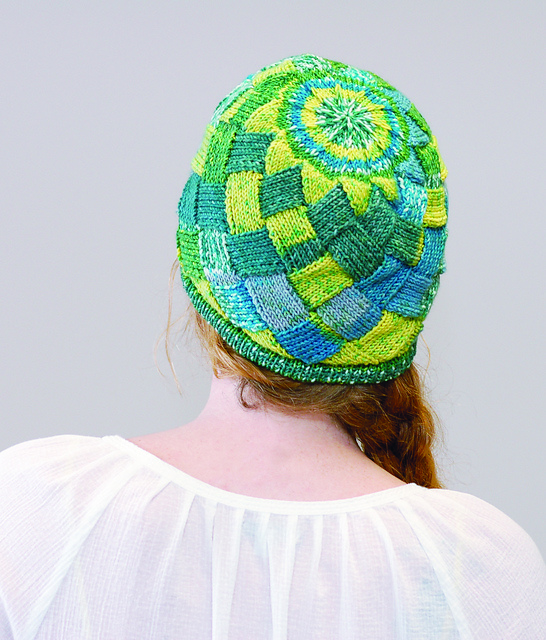 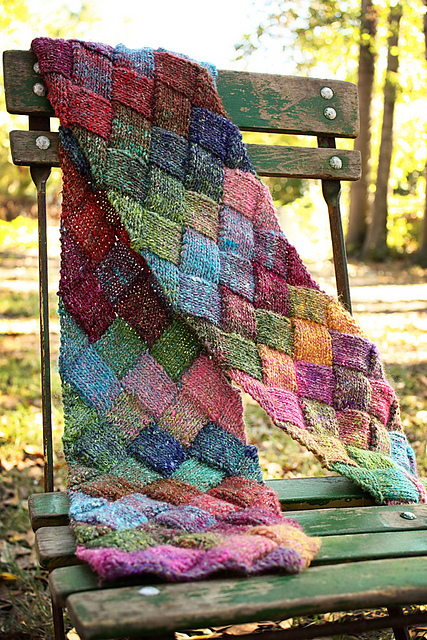 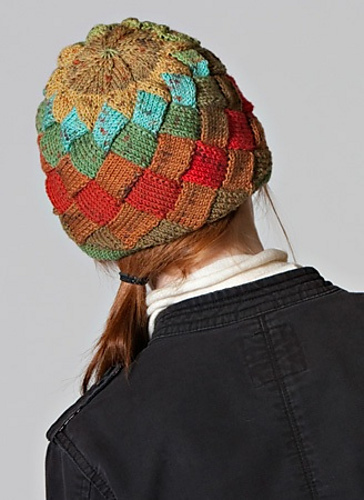 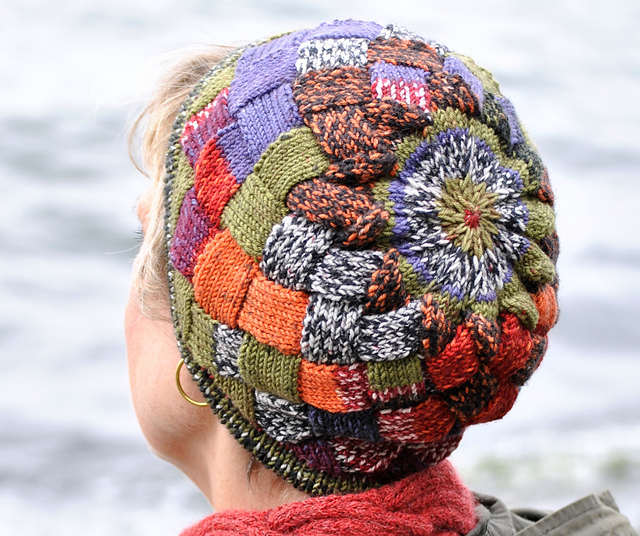 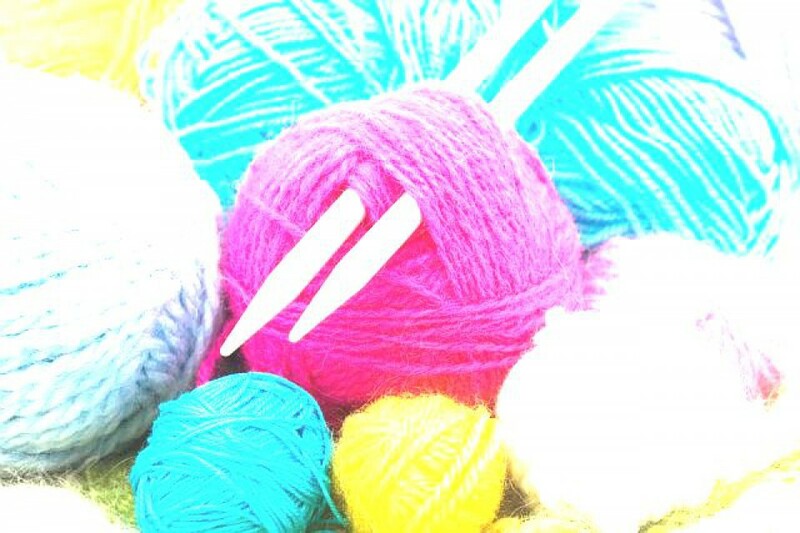 Staci Perry of v e r y p i n k created a wonderful video tutorial based on this pattern. 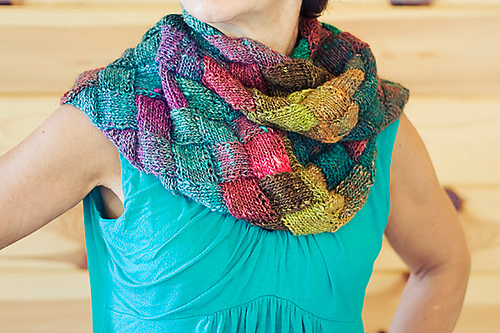 Download the pattern and follow along with her as she teaches you every step involved in the making of this scarf!